Global spirits group Beam Suntory has taken a “controlling stake” in London-based craft producer Sipsmith for an undisclosed sum. The deal, announced this morning, will enable Sipsmith to grow internationally and develop a deeper and wider distribution network. Beam Suntory now holds 100% of the voting rights and a majority position, but existing shareholders retail a “long-term interest in the growth of the brand,” co-founder Sam Galsworthy told The Spirits Business over the phone. Galsworthy said that he had received “incredibly flattering” interest from potential buyers over the past six-to-seven years but that he and the team were “most impressed” with Beam Suntory. “We’re incredibly proud to the partnering with Beam Suntory,” he said. “They have a track record of looking after brands.” He said he had received assurances that “the most important thing is the people” working for the brand, and stressed that Sipsmith employees are all “retrospectively invested” in the brand, and are “invested going forward”. The Spirits Business understands Sipsmith will not be joining Beam Suntory’s UK distribution unit Maxxium, with the brand retaining “the same team going to market in the same way,” according to Galsworthy. Sipsmith becomes the third gin brand in Beam Suntory’s fledgling gin portfolio, alongside Larios and Gilbey’s. “With incredible skill and passion, Sam and Fairfax [Hall] have built an extraordinary super-premium gin that is synonymous with London and the utmost craftsmanship,” Matt Shattock, chairman and CEO of Beam Suntory, said in a statement. Both Sipsmith and Beam Suntory are WSTA members. 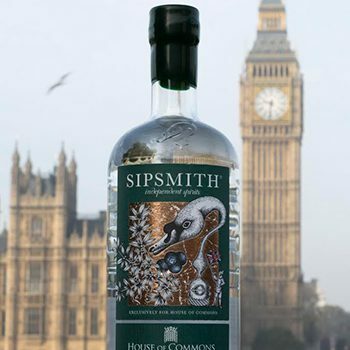 Sipsmith was founded in 2009 and today two-thirds of its sales are in the United Kingdom. The brand produces a range of products including London dry gin, its VJOP (“Very Junipery Over Proof Gin”) release, and sloe gin. The acquisition, which is expected to close in January, follows reports that Sipsmith had appointed Rothschild & Co. to guide talks with potential buyers. Beam Suntory’s move to take control of Sipsmith follows Pernod Ricard’s acquisition of a majority stake in German producer Monkey 47 and signals increased interest in “craft” gin producers by multinationals.